River camps make for the best camps, especially if you arrive by boat. You can bring a fully stocked kitchen, sleep on the soft sand, and enjoy wild ambiance that beats any five-star hotel. 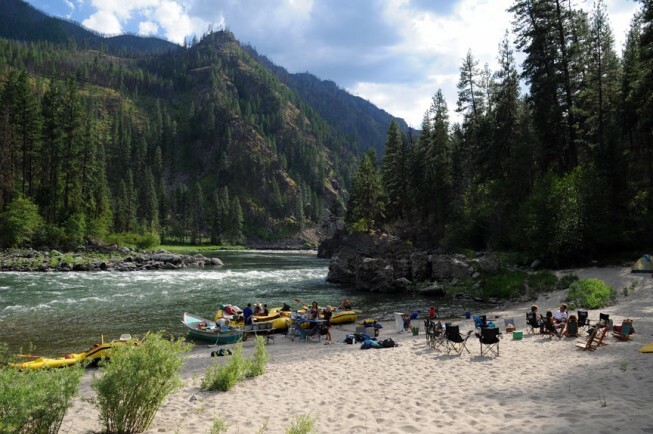 There are a few basic factors that separate a good river camp from a great one. If they’re remote, scenic, and have adventure-around-the-corner then they get my vote. Here are some of the best river camps I’ve found, and a few more that I’m still dreaming about. The Nankoweap camp might be the single most iconic campsite in the Grand Canyon. It is located 50 miles downstream from Lee’s Ferry at a bend in the river where there is an incredible side hike up to ancient Anasazi granaries. These 1,000 year-old structures are built into the cliffside with an amazing vantage downriver. 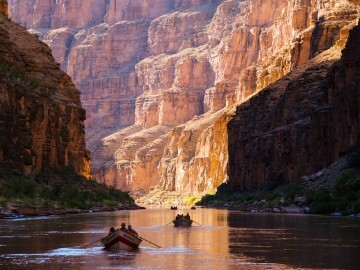 This spot is one of the most photographed locations on a Grand Canyon rafting trip, and should not be missed. 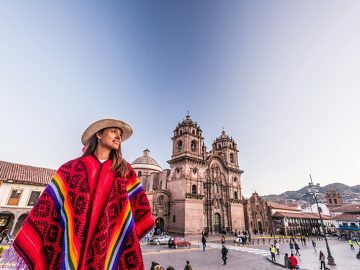 The advantage of scoring this camp is that once night falls you’ll have the unforgettable opportunity for a hike up to the granaries in the moonlight. 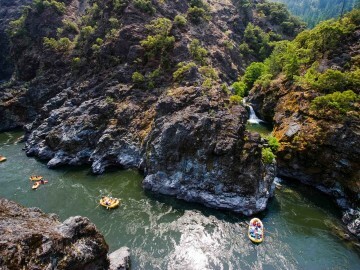 The Whiskey Creek Camp is only four miles into the Wild & Scenic stretch of the Rogue River in Southern Oregon. The vast majority of boaters pass by this incredible site on their first day, and they are missing out. It’s a large, flat bench perched on a river bend with Whiskey Creek gurgling past. A short hike on the Rogue River Trail leads you to Whiskey Creek Cabin. 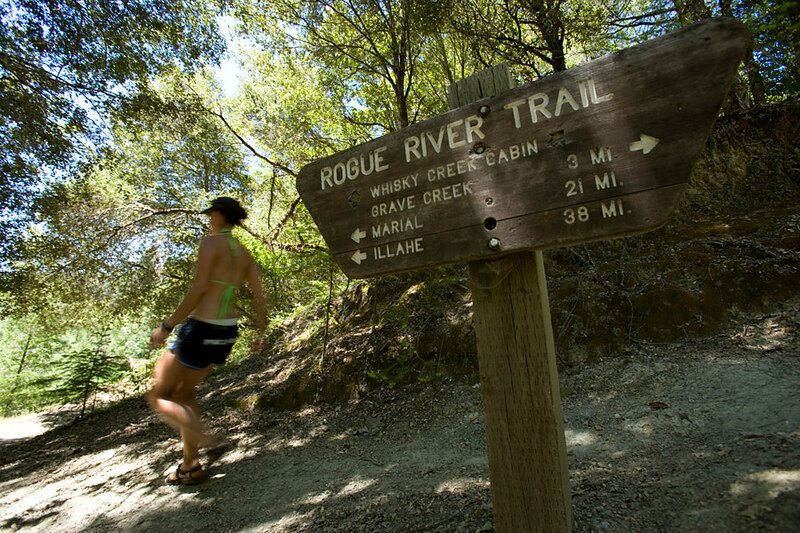 It’s a pioneer-style log cabin with interpretive signs about the history from the Rogue’s infamous gold mining days; and perhaps that’s what makes this camp special, aside from the stunning scenery, you feel like a pioneer on the banks of a wild whitewater river. 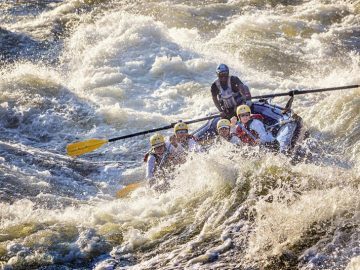 The third day on a Main Salmon rafting trip is typically filled with whitewater fun. After powering through some of the best rapids on the river, nothing beats landing at the wide sandy beach of Groundhog Bar. You can set up a beach volleyball net, play sand soccer, or just swim in the deep pool near camp. Others might sling a hammock beneath shady ponderosas and swing in the sweet river breeze. Whatever you choose to do at Groundhog Bar, you’ll have stunning mountain scenery, and fall asleep to the sounds of the swift river flowing past. The Bob Marshall Wilderness in Montana is of epic proportions. 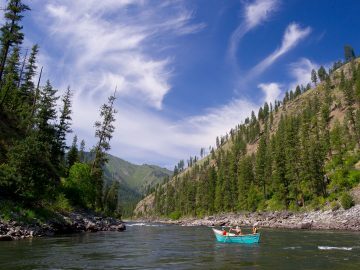 There are enormous river valleys totally void of civilization, and in one of these valleys is the South Fork of the Flathead River. There are only three ways to access it, by bush plane, mule train, or by hiking there. 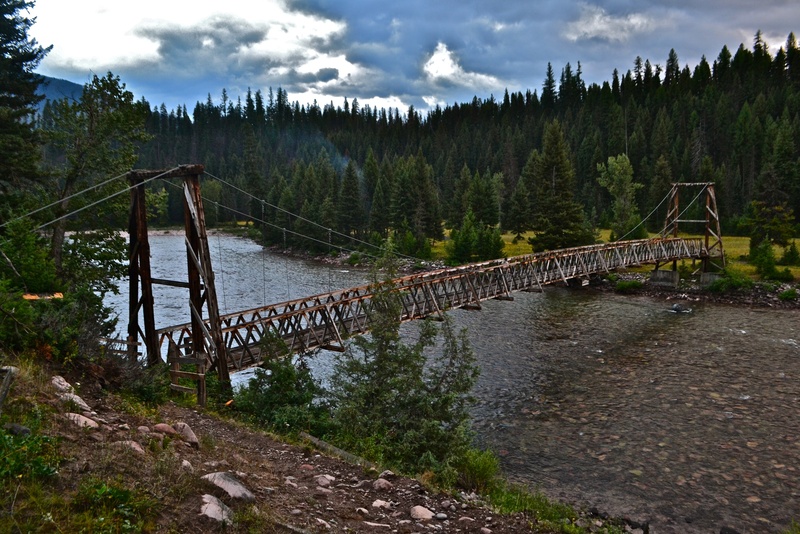 The river features an abundance of good fishing and camping, but my favorite camp is by the Bear Creek Bridge. You can hook into the wildest cutthroat trout in the American West right from camp, and there’s a suspension pack bridge where the only traffic you’ll see is from mule trains carrying Forest Service supplies to a backcountry ranger station. 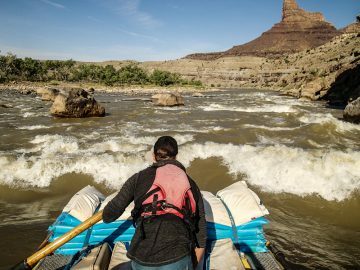 This camp is likely to be your last night on an arduous journey down the South Fork, so it feels like a celebratory, hard-earned camp where anything you cook for dinner might be the tastiest meal you’ve ever eaten.